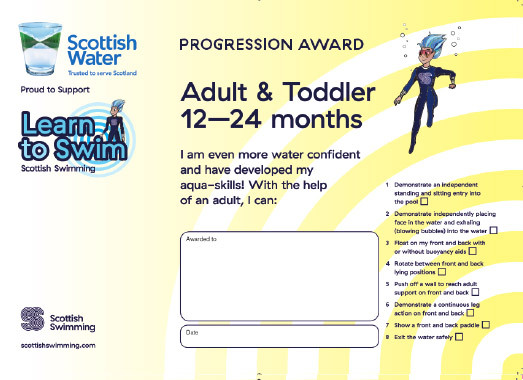 Recognising your child’s achievements and celebrating success along their learn to swim journey is a great way to keep them motivated! 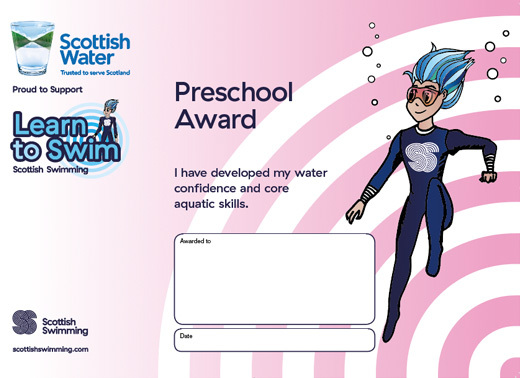 Ask your swimming lessons provider which certificates are available for your child. 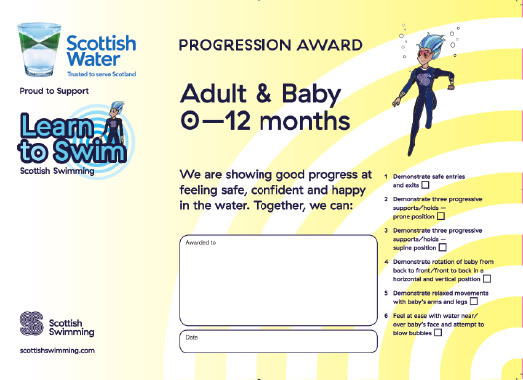 The Early Years Programme has three levels: Adult & Baby, Adult & Toddler and Adult & Child. 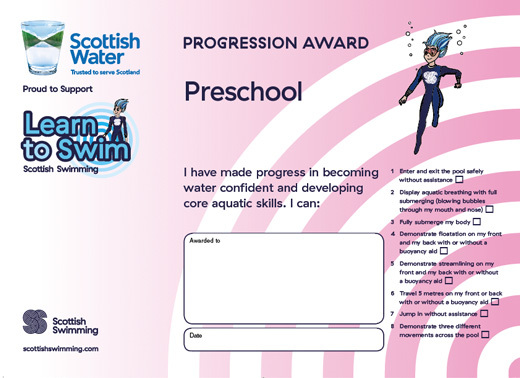 There are certificates for each level to reward and recognise your child's progress. 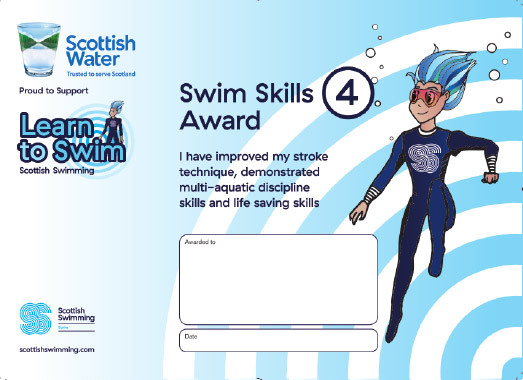 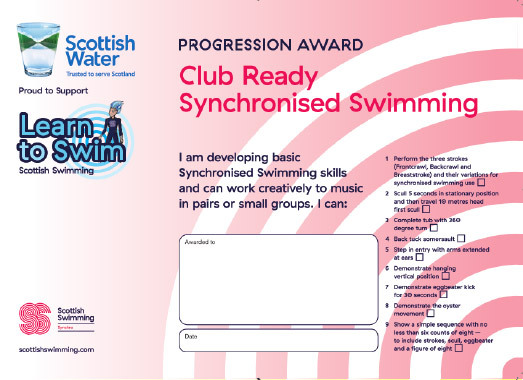 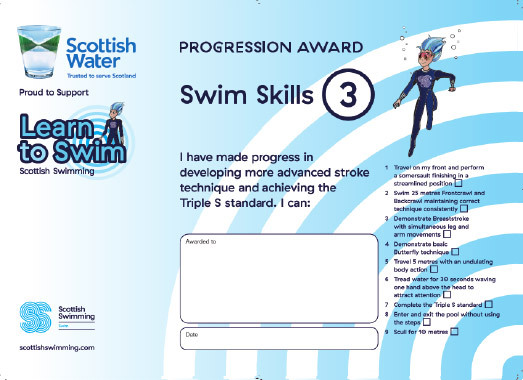 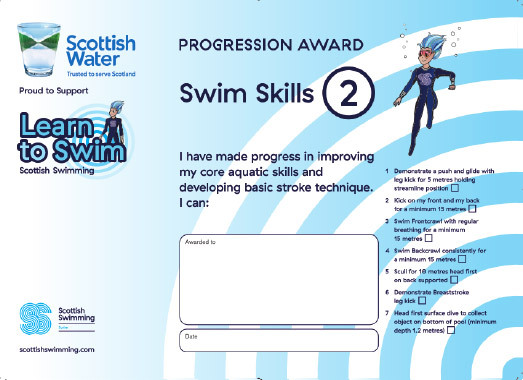 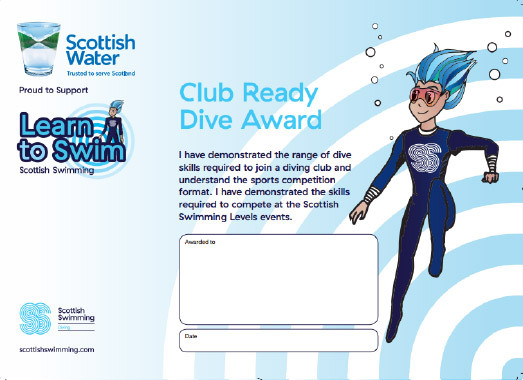 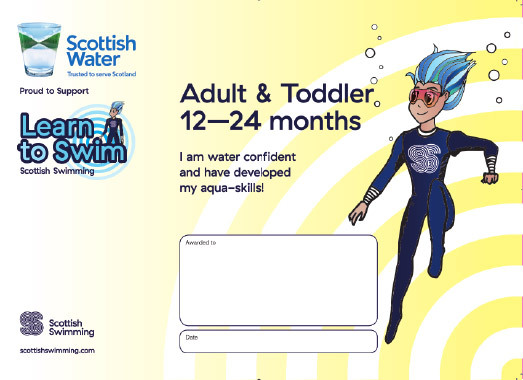 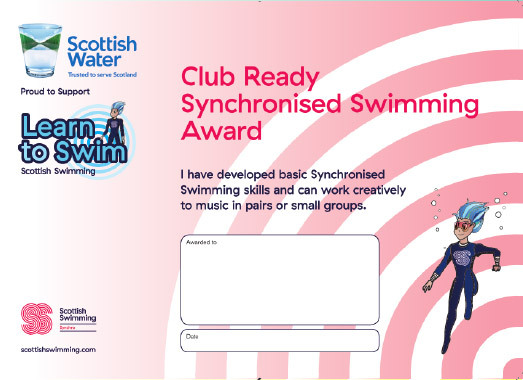 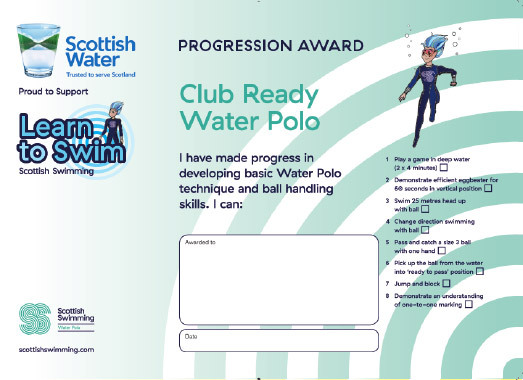 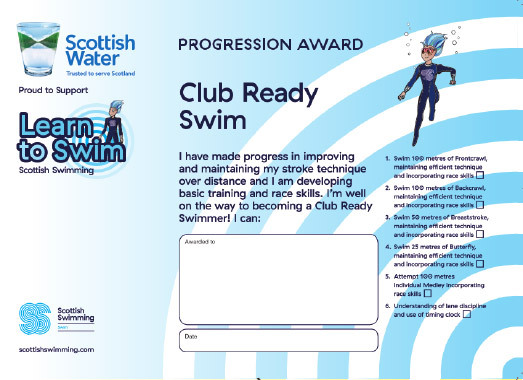 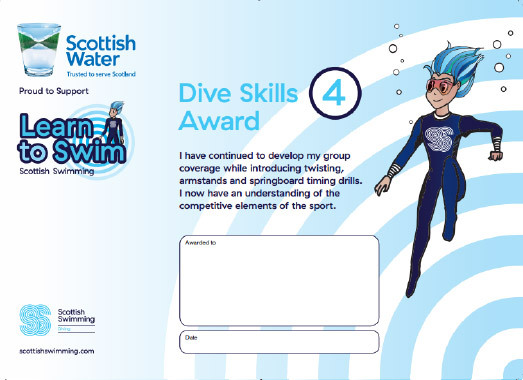 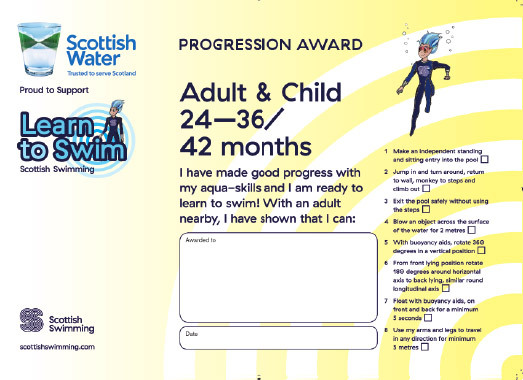 The Learn To Swim programme offered by Scottish Swimming in partnership with Scottish Water rewards and recognises children’s progress from preschool through to club ready and all the steps along the way! 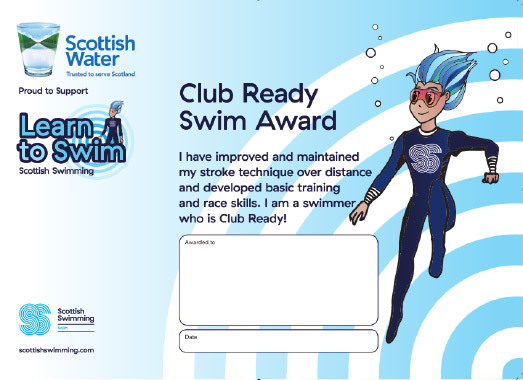 At the end of Club Ready children have developed skills in all of the 4 main strokes and will be safe, confident and competent swimmers and will be able to keep swimming for life within a club environment or recreationally. Aquatics is not just about swimming. There are opportunities in diving, synchronised swimming, water polo and life saving as well as a whole host of outdoor water sports.